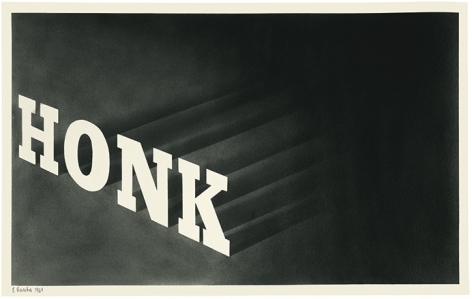 NEW YORK – Craig F. Starr Gallery is pleased to announce Ed Ruscha: Ace Radio Honk Boss, an exhibition of Ruscha’s paintings and works on paper from the early 1960s, on view October 19, 2018 through January 26, 2019. Ace Radio Honk Boss [#1] and [#2] will be shown alongside two paintings (HONK and BOSS) and six works on paper of the related single words. The exhibition is culled from private collections across the country and offers viewers a chance to examine the relationships between these four words and their images, separately and together – between their various fonts, sizes, and colors – how they’re read, how they’re seen, how they’re painted, their multiple meanings, and how they feel. 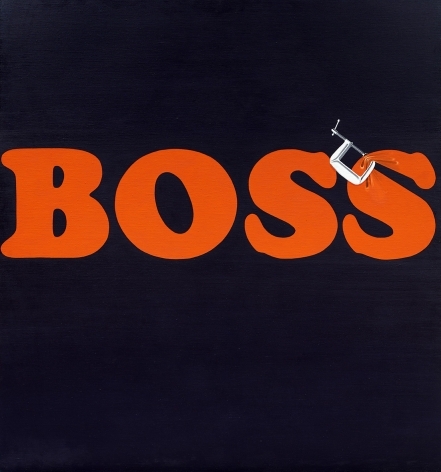 Highlights include Ace, 1961 (formerly owned by Robert Rauschenberg) and Securing the Last Letter (Boss), 1964. 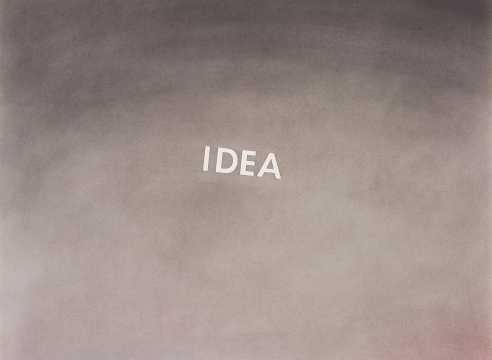 When explaining how he came up with the words and phrases in his paintings, Ruscha said, “I don’t stand in front of a blank canvas waiting for inspiration. At one time, I loved the word ACE. It meant something to me that was powerful. I made a few paintings of the word. I always like monosyllabic words like... HONK.” Surprisingly, Ace Radio Honk Boss [#1] and [#2] are right there at the beginning, as if they were a kind of generative false start, because one might assume that the individual word paintings were developed first. 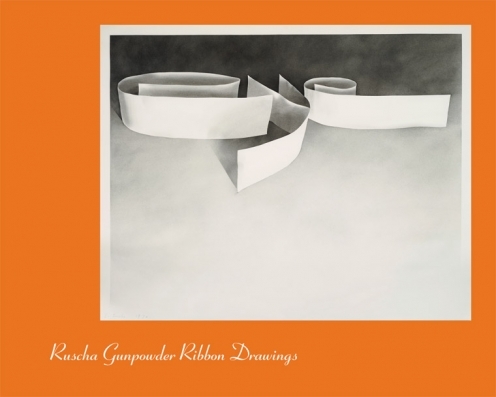 Instead, it’s partially the other way around with RADIO and HONK coming afterwards, and it’s as if much of the later post-1970s work had already been predetermined here – it would just take time, decades, for Ruscha to begin to combine/overlay words in a more representational space. 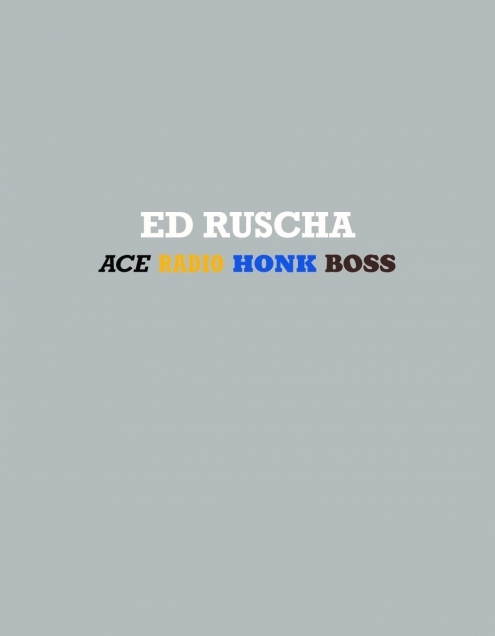 Ed Ruscha: Ace Radio Honk Boss will be accompanied by a fully illustrated catalogue, which includes a newly commissioned essay by Thomas Crow that puts this body of work into the cultural context of the time and shows how these four words are interconnected. 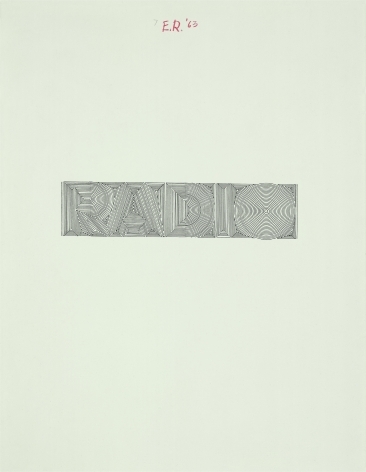 The publication will also include a catalogue raisonné of Ruscha’s paintings and drawings of the words ACE, RADIO, HONK, and BOSS. Crow is Rosalie Solow Professor of Modern Art at the Institute of Fine Arts, New York University and a contributing editor at Artforum. Craig F. Starr Gallery is located at 5 East 73rd Street between Fifth and Madison Avenues. Gallery hours are Monday through Saturday from 11am-5:30pm, and by appointment. For general information please view the gallery’s website at www.craigstarr.com. Jana Sterbak with Ruscha, “Premeditated: An Interview with Ed Ruscha,” Real Life Magazine, Summer 1985, reprinted in Edward Ruscha: Catalogue Raisonné of the Paintings. Volume One: 1958-1970. Gagosian Gallery, 2003. p. 253. In addition to Ace Radio Honk Boss [#1] and [#2], “in the category of word paintings without objects, there are only three multiword works prior to the crisis year of 1970 during which he ceased painting altogether: Heavy Industry (P1962.08) and War Surplus (P1962.09) in 1962 and Cut Lip (P1966.03) in 1966.” Yve-Alain Bois, “Intelligence Generator,” Edward Ruscha: Catalogue Raisonné of the Paintings. Volume One: 1958-1970. Gagosian Gallery, 2003. p. 10. Sterbak with Ruscha, p. 108. 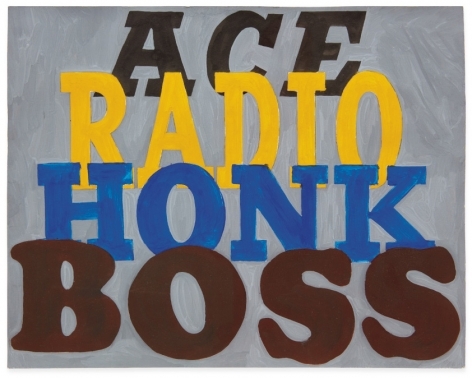 Ruscha had used the words ACE and BOSS prior to painting Ace Radio Honk Boss [#1] and [#2]. 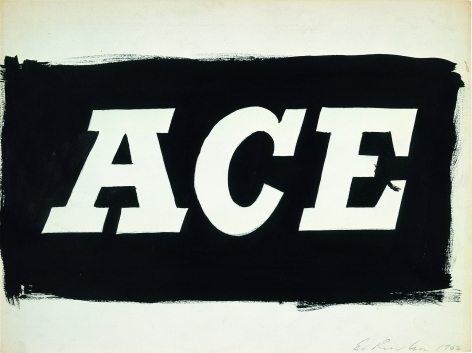 In Boss, 1961 (P1961.05) the letters are rendered in the same font and style as they appear in the multi-word works, however the letters in Ace, 1961 (D1961.40) – which was painted while Ruscha was traveling in Paris – are all lower case and non-italicized.